Thanksgiving is only a few days away and like many of you, I’ve been spending more time than usual in the kitchen and making trips back and forth to the grocery store. Of all holidays, Thanksgiving is my absolute favorite — time with family, delicious food, and no pressure around gifts. It’s also a holiday prime for an over-abundance of food waste. 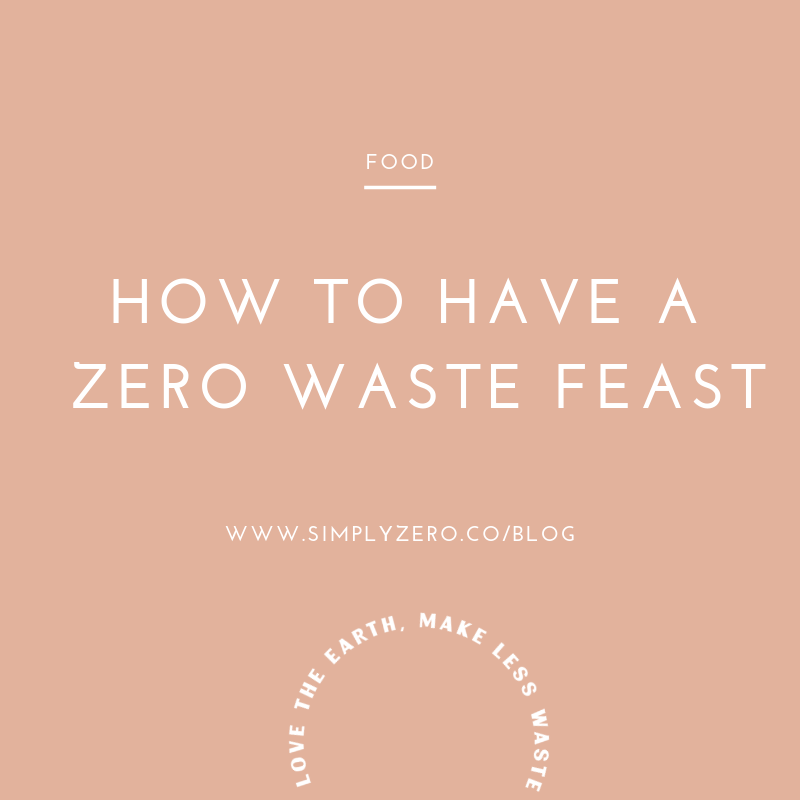 In fact, it’s estimated that our food waste increases by over a third during the holidays with Americans wasting on average 5 million more pounds between Thanksgiving and New Years! When putting together your menu, look for recipes that use the same ingredients that way you’ll be sure you’re using up the entire ingredient vs. just a little bit and then throwing the rest out. For instance, if your recipe calls for half an onion, look for a complimentary dish that will use up the other half of the onion. Before heading out to the grocery store, do a pantry audit to make sure you’re not doubling up on ingredients you already have on hand. For ingredients you still need, try shopping for them in the bulk section so you have control over how much or how little you take home. Not sure how many dishes you’ll need to feed your guest list (and have leftovers!)? Try using Save the Food’s Guest-imator! Before you toss your scraps into the trash or compost, ask yourself: “Can this be used again?” Many of the peels, trimmings, and rinds we accumulate throughout a recipe can be frozen and used again for soup stocks or smoothies, infused into vinegar or alcohol, or even regrown. When we get bored with our food it often becomes waste. Spice things up with your leftovers to keep meals interesting and delicious. If we haven’t planned out our recipes perfectly (and let’s be honest, who does?) we’re often left with leftover ingredients many of which can be stored and used at a a later date. Save the Food has a great interactive storage guide to help you keep food fresh and tasty for as long as possible. Have any other savvy tips or tricks to make the most of your food? Drop them in the comments below!